This recipe calls for fresh Cilantro, Thyme, & Parsley. Cilantro is not only one of the tastiest herbs, but it also has many important benefits. First, it is can help detoxify your body from exposure to metals because of its bonding properties. Next, cilantro contains Vitamin K, which is great for bone health. Also, this herb contains properties that helps with inflammation, protects the skin against sun damage, and can help to fight cancer. Thyme is healthy for your body in many ways. It boosts your immune system, reduces stress, protects against heart diseases, and has been used to treat chronic coughs and respiratory diseases. The health benefits of parsley are numerous. It can be used to control diabetes, helps reduce inflammation in the joints, boosts your immune system, and aids in fighting osteoporosis due to the calcium content in this magical herb. 1-Squeeze the juice of 1 lime, ½ lemon, & ½ naval orange into a large plastic container. 2-Chop the fresh cilantro, parsley, thyme, and garlic clove finely and add to the juice mixture. 3-Add in the salt, pepper, olive oil, blackened seasoning, and mix together. 4-Chop the boneless/skinless chicken into medium size chunks and trim the fat off. Add chicken to the marinade mixture, seal the plastic container, shake well, and put in refrigerator overnight. 1-Chop pineapple into medium-sized chunks, making sure to remove the core. Place in a bowl. 2-Chop the 3 peppers into medium-sized chunks and place into a bowl. 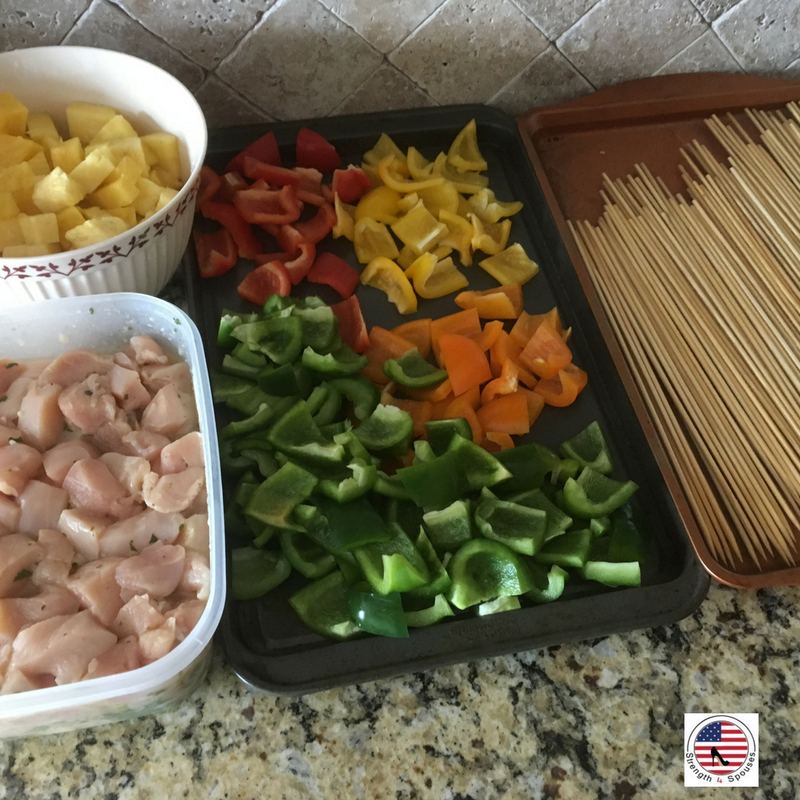 3-Set out chicken from refrigerator and retrieve your skewers and a cookie sheet. 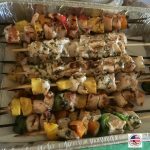 4-Begin assembling skewers into various patterns leaving a little room at each end of skewer for handling. 5-Grill skewers for 20 minutes, turning as needed. Continue to grill an additional 10 or more minutes until chicken is cooked all the way through. The last 10 minutes, begin boiling water on your stove and add the rice. 6-Remove skewers from grill and cover, while finishing the rice. This meal costs $16.00 and serves 2-4 depending on portion sizes. These look amazing! I just love grilled pineapple. 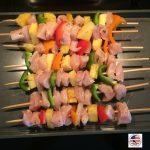 I have been looking for new summer grill recipes! Will bookmark this one. It sounds so easy! Thanks for sharing. Omg, this sounds wonderful. You are making me want my own herb garden and a grill! 😉 Thank you for sharing your insight into the health value of the herbs as well as some good things to do with them. I love this series! You should definitely grow a few herbs. The health benefits are truly amazing. Thank you for your support. It truly means the world. Absolutely! I am proud of what you are doing with this blog. You are quite impressive. This is so delicious sounding! I love the budgeting focus you have! Helps me to feel better about spending what little I have will still make good food! I think I’m definitely going to follow you!